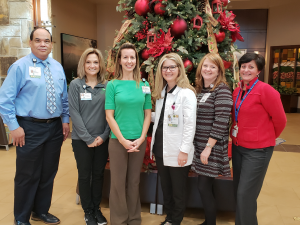 Winners include Callie West, RN, who is the stroke coordinator at LeConte Medical Center, and Lori Murphy, OT, who works in the hospital’s therapy department. Both West and Murphy will receive $2,500 for continuing education in the healthcare field. The Silver Lamp Award is given as a way to enhance the skills of dedicated healthcare professionals in East Tennessee.